Anna and Wendy discuss episode 72 of Chronologically LOST, Episode 072 – December 20-21 2004 (days 90-91 on island), featuring a growing rift between Ben and Alex, an explosive demonstration, a swim for Charlie, a hike for the survivors, three shooters left behind to take out the Others, and Taller Ghost Walt! Podcast length 1 hr 13 min. 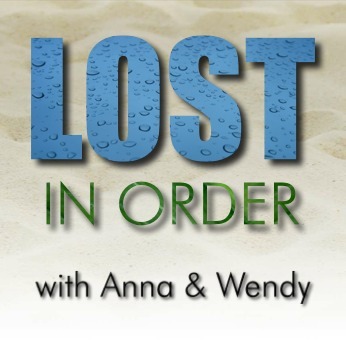 Anna and Wendy discuss episode 71 of Chronologically LOST, Episode 071 – December 19-20 2004 (days 89-90 on island), featuring con man conversations, truths revealed at the beach camp, trust and distrust, and a visit to everyone’s favorite island getaway cabin! Podcast length 1 hr 22 min. Anna and Wendy discuss episode 70 of Chronologically LOST, Episode 070 – December 15-18 2004 (day 85-88 on island), featuring medical help for Naomi from an unlikely source, Juliet taking Sun on a field trip to the medical hatch, the father of Sun’s baby revealed, and what Ben requires of Locke before he can truly be one of them. Podcast length 1 hr 15 min. Anna and Wendy discuss episode 69 of Chronologically LOST, Episode 069 – December 12-15 2004 (day 82-85 on island), featuring Juliet’s introduction to the beach camp, Claire’s sickness and Juliet’s serum, Kate’s jealousy of Juliet, and a camping expedition for Desmond, Charlie, Hurley, and Jin…ghost stories, helicopters, and Not Penny’s Parachuter! Podcast length 1 hr 28 min. In this episode we have Heath, Wendy’s former cohost from the LOST Revisited Now podcast, on to reminisce and theorize! Heath is an actor in LA and a participant in Podcast Littlefell, as well as occasionally posting podcasts to The Film List. He is a dear friend and we are excited to welcome him to LOST in Order for an extended Never Let It Fade Away chat! Podcast length 1 hr 18 min.